Save Babies Through Screening Foundation supports basic research, pilot studies, and clinical research to provide a comprehensive understanding of conditions and tests being considered for addition to the uniform screening panel. Save Babies Through Screening Foundation advocates for adherence to the now well-established, rigorous process undertaken by the Secretary's Advisory Committee on Heritable Disorders in Newborns and Children, including evidence review, support for addressing evidence gaps through pilot projects, re-review, and deliberation by experts prior to endorsing additions to the panel. Save Babies Through Screening Foundation supports a consistent national approach to newborn screening to maintain justice and equal access to screening among the residents of all states. 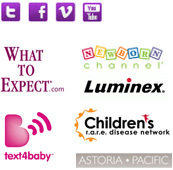 We do not support state-by-state legislative action to add disorders that have not been recommended by the Secretary's Advisory Committee on Heritable Disorders in Newborns and Children and endorsed by the Secretary of the Department of Health and Human Services. Save Babies Through Screening Foundation joins others in voicing concerns that complete data do not yet exist for many aspects of screening and especially for outcomes and interventions, and supports the call for additional research. 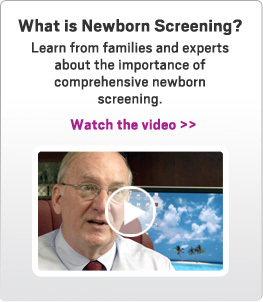 Save Babies Through Screening Foundation is concerned that the premature adoption of new newborn screening tests can result in unintended harm to children and families, particularly from follow-up interventions that carry high risk and may not have clearly demonstrated positive outcomes.